Creating spoons was a learning curve for me today. 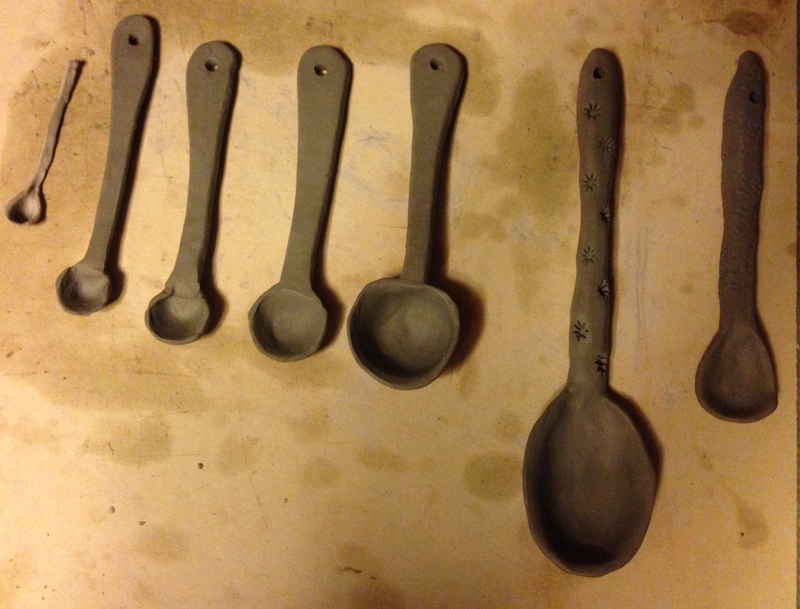 I made plaster molds of spoons I use around the kitchen and thought this might be an easy task. Ha was I wrong!!! But once the plaster molds were made I sprayed them with cooking oil and pressed the clay onto the molds….after removing the spoons a lot of clean up was involved. This picture shows the spoons leather hard, so more clean up to come. Looking forward to the turn out of these gems.